Nintendo's 3DS has seen a rocky start. Probably enjoying one of the best launches in Nintendo of America's history, but then losing momentum as few solid titles were released in the following months. Add the lack of the 3DS eShop and a good number of key franchises and first party titles from Nintendo themselves, and fans were left with a catalogue featuring less-than-stellar third party titles. Cue the price cut naught half a year since its release and you have yourself a group of early adopters that are either really angry or just can't be bothered anymore. Despite all of this, the 3DS is not lacking on upcoming releases. Here's a jolly list to whet any 3DS owner's appetite. Yes, there are certainly first party Nintendo titles tossed in, but we've been keen on making sure that third party developers working on quality titles get a nod as well. No, there will not be any N64 remakes included in this shopping list. In development by tri-Ace, Konami. Currently under development at tri-Ace, Beyond the Labyrinth looks to be a beautiful dungeon crawling, role-playing game. Oozing with atmosphere from just the screenshots and art alone, it shares visual similarities to games like ICO and Shadow of the Colossus. We still have no idea what it's about, we don't even know if the girl is the main character, but publications have been praising it as one of the most striking 3DS titles in development. Be sure to keep it on your radar. In development by Nicalis, NIS America. 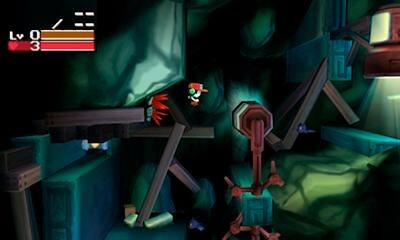 Cave Story 3D may be a 2D side-scrolling action platformer, but Nicalis have got the 3D bit of Nintendo's handheld down pat. Originally scheduled for a Summer release, it's been delayed to November to further enhance the already hectic gameplay in order to please old school fans and newcomers alike. With a number of weapons to make things go boom, intense platforming and simply addicting gameplay "“ not to mention the subtle, but gorgeous 3D visuals "“ and Cave Story 3D is one title you don't want to miss out on. 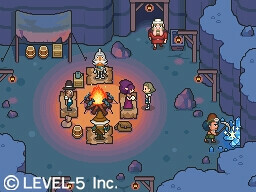 In development by Brownie Brown, Level-5. What happens when you toss in Final Fantasy legends Yoshitaka Amano and Nobuo Uematsu alongside RPG specialists Level-5? 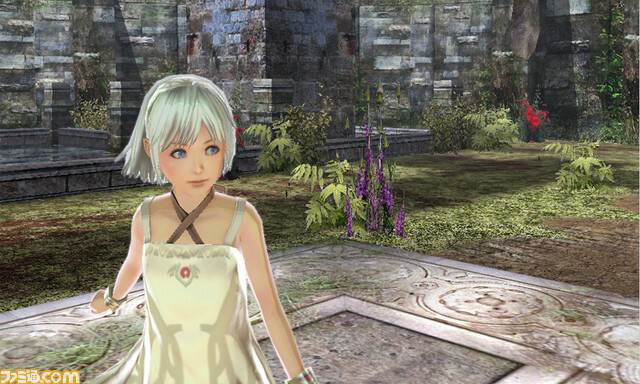 Why, a fantasy game that's sure to please the fans, even if next to nothing is known about the game. Fantasy Life was originally announced for the Nintendo DS, but development has since shifted over to the 3DS. Details have been scarce, but any fan of Amano or Uematsu shouldn't pass on this. Keep an eye out, it's sure to be an interesting ride. In development by Project Sora, Nintendo. 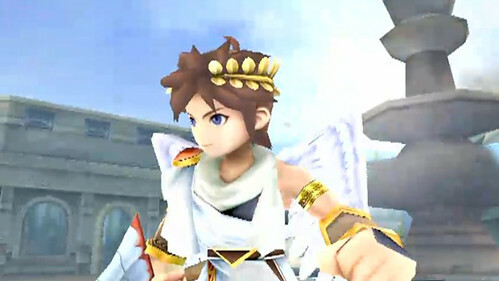 Kid Icarus: Uprising made a huge splash at E3 2010, impressing many 3DS skeptics. Getting hands-on at E3 this year, we can see why. It's a fast-paced, adrenaline-filled epic with some of the most impressive visuals on the 3DS to date. Not only that, Nintendo's added multiplayer on top of the already addicting single player campaign. 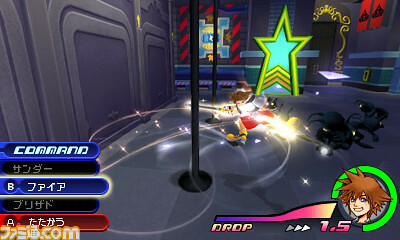 Pit can fly, dash, shoot and slash his way through hordes of demons in his battle against Medusa. The control scheme is rather unique, but certainly very intuitive, making good use of the touch screen to compensate for lack of dual analog sticks. In development by Square Enix. Set to tie in strongly with the ever elusive Kingdom Hearts III, Dream Drop Distance isn't a handheld spin-off Kingdom Hearts fans want to miss. In fact, it ties all previous handheld titles together, including Birth by Sleep, 358/2 Days and coded. Game director Tetsuya Nomura has said that the story will be on par with that of a numbered title, it's even got Disney struggling to understand the plot. It features the return of old worlds like Traverse Town and Destiny Islands, as well as new ones "“ Paris from The Hunchback of Notre Dame reportedly makes a brief, if obscure, appearance in one of the trailers. In development by Next Level Games, Nintendo. 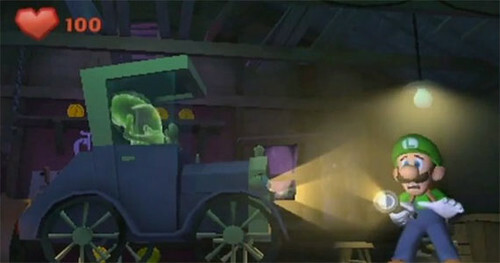 Announced at E3 this year, Luigi's Mansion 2 is a sequel that's been a long time coming. Mario's been the star of the show throughout Nintendo's history, but Shigeru Miyamoto himself is overseeing the production, stating at Nintendo's E3 2011 round table that its a game he wanted to make. From what's been shown, it's proving to be a fun adventure with quirky gameplay and rather adorable music. In development by Nintendo EAD, Nintendo. Never-mind the re-naming or that it's not really the seventh Mario Kart game, it's Mario Kart! It's simply a staple of any Nintendo system and it's not like they're sitting on their laurels either. New to the franchise are hang gliders! Adding flight, albeit temporary, to the game dynamic. 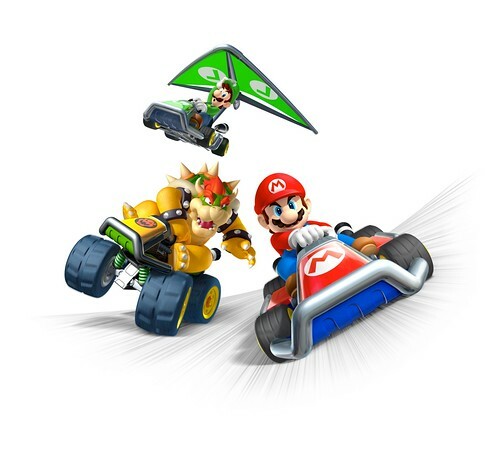 Let's not forget about kart customization either. The 3D adds a surprising amount of depth, allowing you to make better judgements when it comes to distance. In development by Kojima Productions, Konami. What better way is there for Konami to kick off their 3DS lineup than with a Metal Gear Solid game? 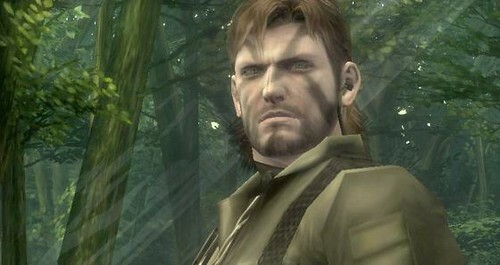 (And a new IP, see: Beyond the Labyrinth) And what better entry than Snake Eater? It's set in the jungle and the 3D visuals come to life as Snake passes through the thick foliage of the jungles of Tselinoyarsk. Granted, it doesn't look nearly as slick as the tech demo shown at E3 2010, but KojiPro's updated the controls, added new features and the 3D simply rocks. Did I mention it's Snake Eater? What's a Nintendo handheld if there's no Pokémon? 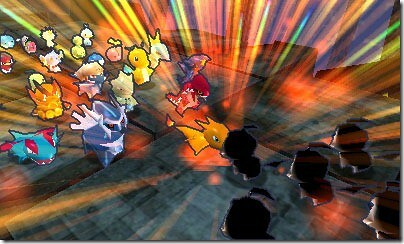 Like the original Pokémon Rumble, players will venture through dungeons, defeating other Pokémon before hitting up the boss. Not only that, it features Pokémon from all five generations. The game is said to use the 3DS StreetPass technology, letting you see your friends' Pokémon. In development by Neverland Co., Natsume. You can never have too many RPGs or simulation games for that matter, especially when they seem to be booming on handheld systems. 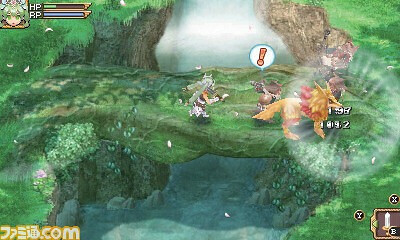 Rune Factory 4 is the first in the series to be developed for the 3DS and in Rune Factory tradition, you play a character who suffers from amnesia after falling out of an airship and hitting your head. Build your kingdom, court the ladies (or gents) and plant your seed, all in 3D. Not to mention, the main characters can communicate with dragons. Dragons.